The Pennsylvania Railroad's Elmira Branch ran from Williamsport, Pennsylvania to Sodus Point on Lake Ontario and was a heavy-duty coal-hauling line. 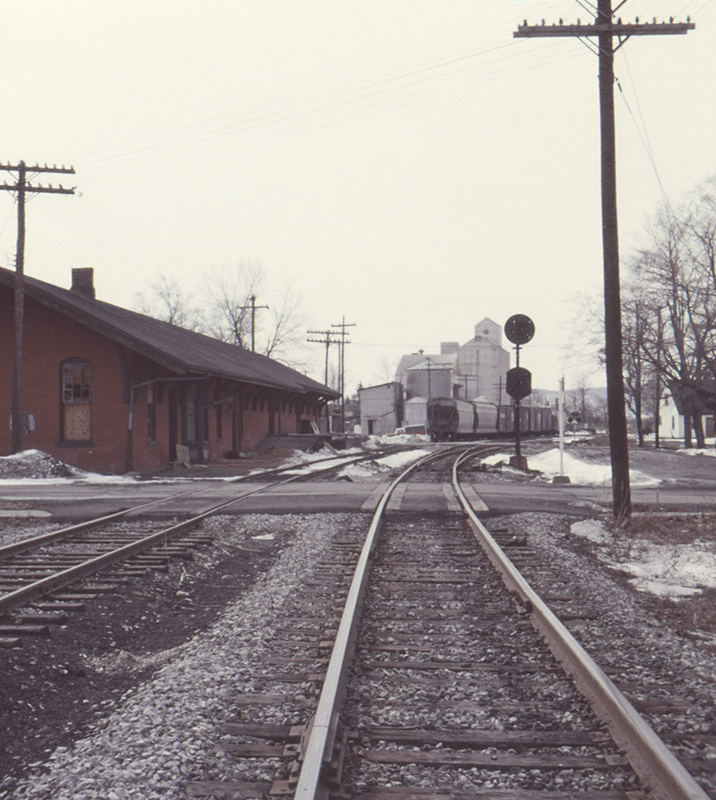 The Horseheads, New York station was boarded up by this time but the shiny rails and fresh ballast show that the line was still very much in use. The Pennsylvania used Erie rails through Elmira, New York from a junction just south of the Chemung River to HO Tower, between Elmira and Horseheads.